The process of exploring options and implementing actions that help you increase opportunities and minimize threats to projects’ desired goals and objectives is known as risk mitigation plan. In simple words the wholesome process of accomplishing risk mitigation actions is known as risk mitigation. The plan entails monitoring, tracking and identifying risks, and keeping a regular check for new risks, and appraising risk procedures’ efficiency throughout the project. Basic guiding principles for practicing risk mitigation are based on the mathematically computed combination of the possibility of happening and sternness of the impact or consequences for an identified and categorized risk. These guiding principles are apt for many, but not all, projects and ventures. 1. Assume then accept – Recognizing the existence of a specific risk, and make a premeditated decision to accept it and try to avoid any extra and non-essential endeavors to control it. 2. Avoid – Altering project necessities or limitations to abolish or minimize the impact of risk. This alteration could be allocated by altering the capital funding, schedule, or technical necessities. 3. Control – Implementing such actions that will help curtail the impact or probability of the risk. 4. Transfer – Reassigning organizational liability, accountability, responsibility and authority to another stakeholder enthusiastic enough to accept the risk (transferring of risk is based on priorities set by the management team with client’s consultation). 5. Monitor – Monitoring and supervising the project environment for alterations that may affect the nature and/or the impact of the risk also it allows the management team to convert any event into opportunity. 6. Report – Reporting or communicating the relevant and significant information to clients and other personal enables everyone to fulfill their responsibilities optimally. For a robust risk mitigation plan, you will require a quick, reliable and efficient risk manager or an entire team. The risk manager and his team are accountable for identifying and executing the risk mitigation plan and monitoring its progress. They must have the better understanding, knowledge, authority, and resources to execute the plan professionally and by the books of law. To make mitigation of risk activities efficient and effective, an engaging risk manager is obligatory. It may be essential to employ higher levels in the customer organization to make sure the requirement for the risk manager is resolved. This task can be tricky and normally entails employing more senior levels of professionals. Develop a high-level mitigation strategy. This is an overarching method to minimize the risk impact sternness and/or possibility of occurrence. It could affect a number of risks and entail increasing staffing or tumbling scope. 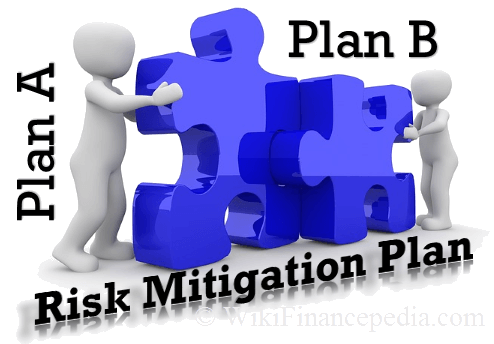 Here you can download sample excel base document of risk mitigation plan template along with risk contingency plan template in excel format. 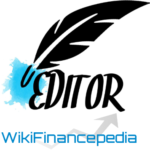 In this chapter you have learned about what is risk mitigation along with strategies and techniques. Once you have gone through all this module you can download risk mitigation plan template in excel format and start building your own strategies. Hope this tutorial was very helpful in your planning phase.